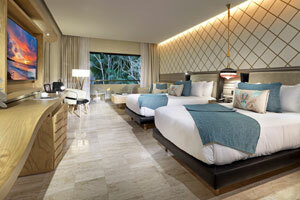 The Junior Suites at TRS Yucatan Hotel are specially designed to provide exclusivity and luxury. 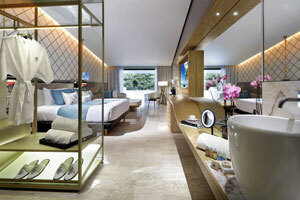 The new Junior Suites for adults only offer the highest level of comfort. 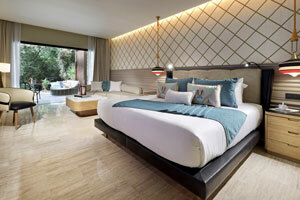 Light and elegantly decorated, they include a king-size bed or two double beds, both options with memory foam mattresses. 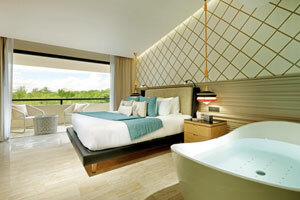 Large, modern 60 m2 Junior Suites equipped with the latest technology and set in tropical gardens. Let yourself be pampered and enjoy the highest quality service and a relaxing experience in your hydro massage bath. 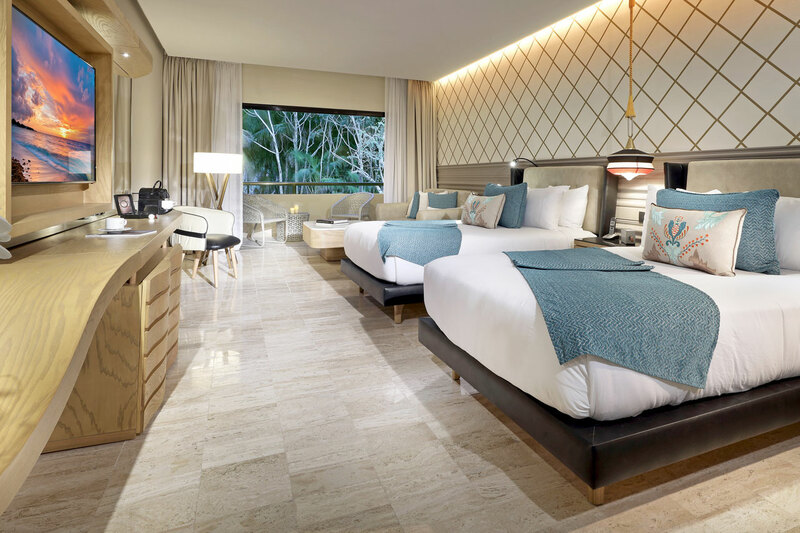 The Wellness Junior Suites at TRS Yucatan Hotel are specially designed for those who like a healthy life in three disciplines: Body, Mind and Soul. It Includes Jacuzzi, relaxing and anti-stress kit sounds. A personalized fitness program. Access to the Spa wet areas and a couples massage. 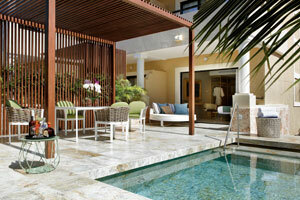 In addition to a menu designed exclusively for the couple during their stay and a romantic dinner. 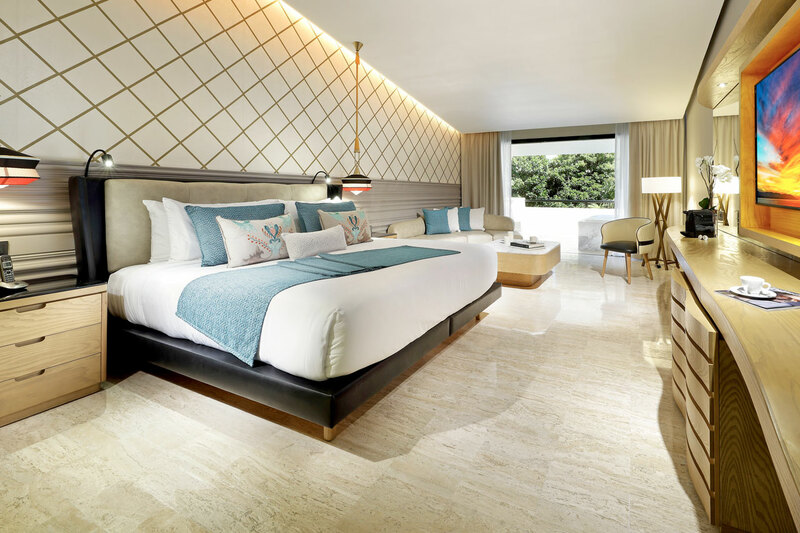 The modern and sophisticated Suites with a Private Pool at TRS Yucatan Hotel offer you ample spaces reflecting the ultimate in luxury and excellence. Prepare to be enchanted by their private 18 m2 swimming pool landscaping. Royal Suite Private Pool guests also benefit from the exceptional privilege of personal butler service, separate living room and more. 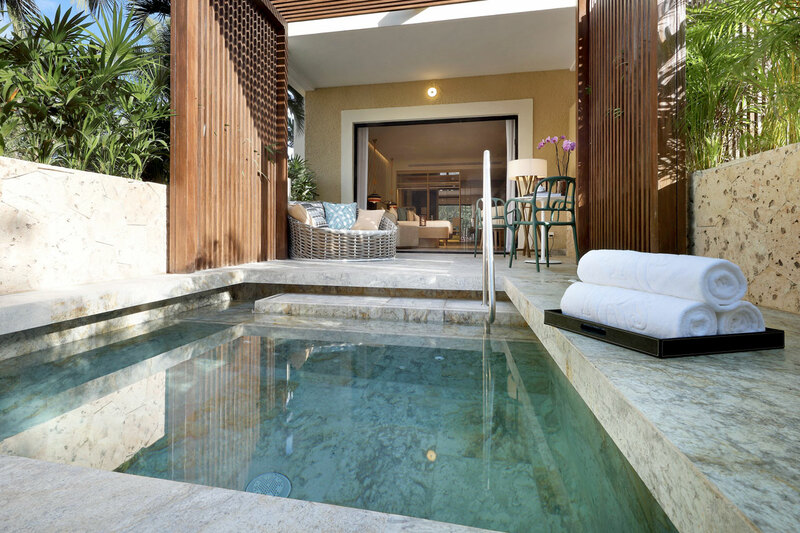 What's really unique about the Romance Bungalows at TRS Yucatan Hotel is that it will captivate you with its private room entrance, its large terrace complete with wood furniture, and its outdoor shower. 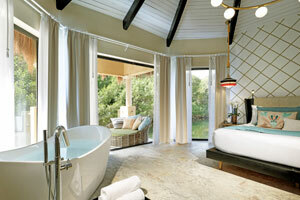 Surrounded by gorgeous natural views, the Romance Bungalow is designed to seduce you. Fall in love with the stunning views the hotel offers from the room’s wooden terrace with kayak landing over the lake and wooden hammocks. 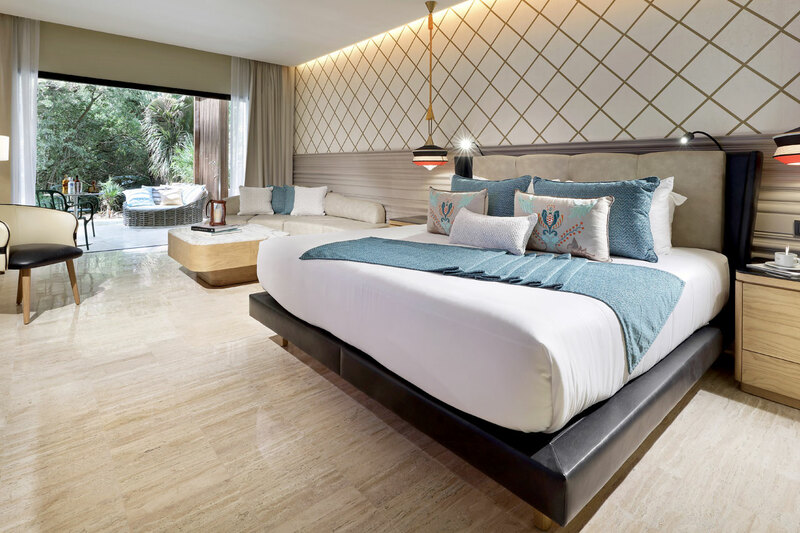 The suite exceeds all our other services, together with a feeling of exclusivity that everyone should experience at least once in their romantic getaway. 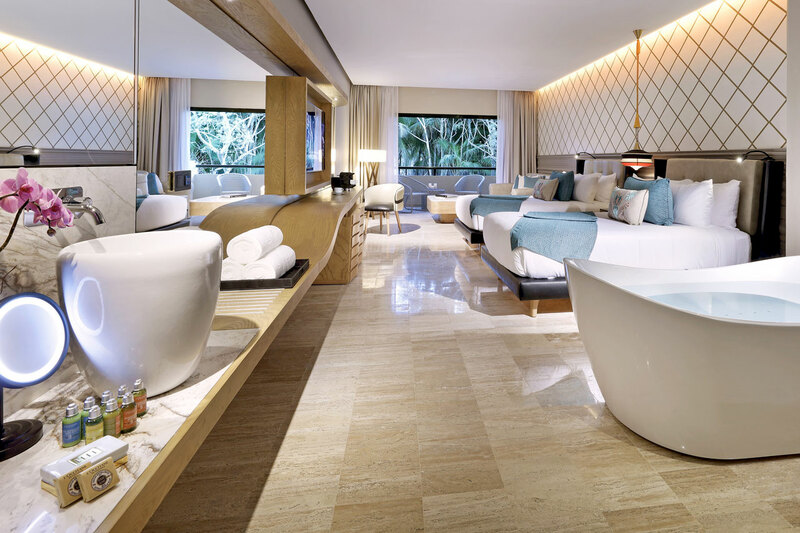 Our modern and sophisticated Suite Private Pool offer you ample spaces reflecting the ultimate in luxury and excellence. Prepare to be enchanted by their private 18 m2 swimming pool landscaping. Royal Suite Private Pool guests also benefit from the exceptional privilege of personal butler service, separate living room and more.